The GiuRu is a transregional youth organisation in the romansh area of Graubünden, Switzerland. 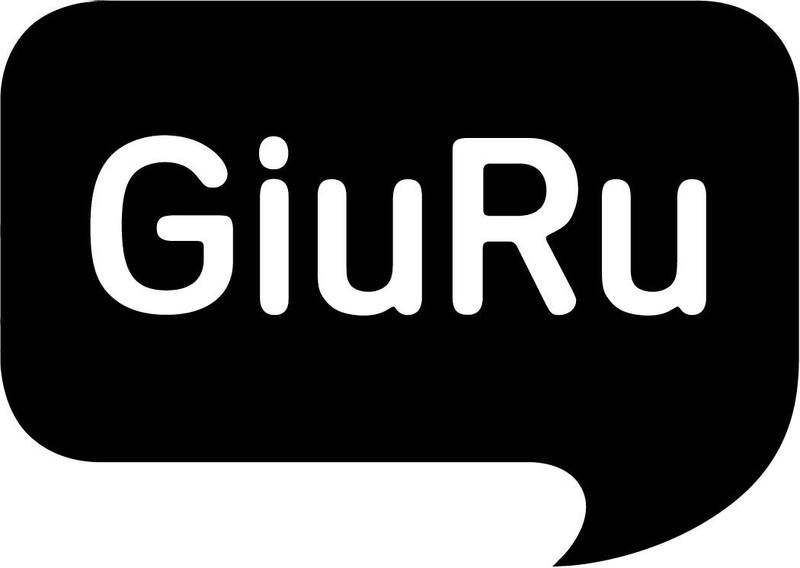 An important part of the work of GiuRu is the sponsoring: projects of young romansh people get financially supported. Mainly it is about cultural projects in the fields of music, film, theatre and literature. Apart from just sponsoring young romansh talents, the GiuRu also organizes own projects and workshops. Moreover the GiuRu is the publisher of the youth magazine “Punts”. About 7 volunteers are responsible that “Punts” (Bridges) is released once a month. In 2004 the magazin was celebrating its 10th jubilee. The GiuRu was founded in 1991 and since 1997 it is part of the “Lia Rumantscha”. At the moment the GiuRu has approximately 120 Members, about 15-20 of these, are active. Retoromansh is a language descending from Latin. Under the term Retoromanian languages, Furlan, Romansh and Ladin are summarised. Romansh today is spoken in some areas of the Swiss Canton of Graubünden. There are about 60.000 speakers in the whole of Switzerland. Romansh has the status of an official language. Romansh is furthermore divided in five dialects, which all are being written. Since 1982 there is “Rumantsch Grischun” as the standard version of Romansh. There are very many youth organisations, which have partially different objectives compared to GiuRu. At this stage we are working on a more close cooperation with these organisations, something which is very successful. There is a youth organisation focussing on filming and several ad-hoc groups, which organise cultural projects. More and more we also work together with German-speaking organisations from Graubünden and even in the whole of Switzerland. The canton Grison. The core areas with a Rhaeto-romance majority are situated in the Bündner Oberland (Surselva), in Mittelbünden (Oberhalbstein) and in the Engadin/Münster valley. With the settlement of the alpine territory by the Romans around 15 B.C., a Rhaetic Latin vulgarisation appeared which gradually developed into today´s Rhaeto-romance. During the reorganisation of the Roman empire in the 3rd century A.D., the conquered alpine region was divided into the provinces Raetia Prima and Raetia Secunda. Around 536, Raetia Prima was added as a more or less independent state (Raetia Curiensis) to the Franconian empire. In 843 the Diocese Chur was incorporated into the Archdiocese Mainz. With this, the final alignment of Raetia with the German-speaking north was introduced. Between the 5th and 10th centuries, the Alemmanis and Bavarians broke through the borders and divided Rhaeto-romania into three language islands: Grison-romance in Switzerland, Dolomite Ladin, and Friuli in Italy.In the 9th and 10th centuries, the Rhaetoromance area was subordinate to the German emperor. In the 13th and 14th centuries the German Walsians settled in the high valleys of Grison. Viewed politically, the independence of Grison matured in the 15th century through the development of a feudal system to a democracy. The Rhaeto-romance metropolis was lost to the Germans with the city fire of Chur in the year 1464. At the time of the Reformation and Counterreformation, written Rhaeto-romance appeared (1560, Bifrun). In 1794, trilingual status was declared, and in 1803 the area became part of the Swiss federation as the “canton Grison“. Between 1850 and 1990, Rhaeto-romance diminished from 48% to 23% and only continued to exist in language islands of uneven size. The main cause of the decline: linguistic and geographical splintering into five written idioms and linguistic regions, changes in commercial structure and related migration, as well as the influence of the German media. In 1938, people and state recognized Rhaeto-romance as the Swiss national language. This led to increased sensitivity to Rhaeto-romance and to the promotion of the threatened language through the state and the canton Grison. Swiss language law rests mainly on Article 116 of the state Constitution, as well as on custom law and tradition (private sector: freedom of language, public sector: principle of the immobility of language borders/homogeneity of language areas). Upon notification of the Grison members of parliament, the Swiss state council has worked out a new language article of the state constitution which should provide, in addition to legally anchored freedom of language, the sustenance of endangered regional languages by state and canton, and the promotion of comprehension bewteen linguistic regions of Switzerland – in particular the promotion of Rhaeto-romance from a national language to a co-official language. The suggested revision of the language article is on the verge of final approval by the Swiss people. In the canton Grison, Rhaeto-romance has been the official language by right of constitution along with German and Italian since 1880. However, in practice, with respect to German and Italian, Rhaeto-romance has been neglected. The disadvantage stems from the splintering of the language into various written forms. This could undergo a change in the next few years with the newly created unified language “Rumantsch Grishun“. In contrast to the remaining cantons of Switzerland, the canton of Grison works along the priciple of community autonomy: it greatly relies on the common self-governing bodies to determine the official and school language for themselves. The legal anchoring of the Rhaeto-romance language areas in the pattern of the other three regions of Switzerland will therefore be nearly impossible to realize in Grison. The Rhaeto-romance speakers are represented externally (Switzerland and abroad) and to the regional and local authorities and institutions in Grison by the “Lia Rumantscha“, founded in 1919. The Lia Rumantscha is the roof organization for all Rhaeto-romance unions and coordinates the actions of its adjoined eight regional and surregional associations. There is a Grison association for Folktheater (Uniun de teater popular/UTP) and a few professional theatre groups. In the areas of dance and music, the palette spans from costume and folkdance groups, choirs, folk and instrumental music chapels, to songwriters and rock and pop music groups. Rhaeto-romance literature is represented by the Rhaeto-romance writer´s union. (Uniun da sripturas e scripturs rumantschs/ USR). In the fields of painting and sculpture, Rhaeto-romance has a few artists of international acclaim (Aluis Carigiet, Mathias Spescha, Ursina Vinzens, Not Bott, Jacques Guidon, among others). As part of the activities of the Rhaeto-romance language and cultural clubs, there are also yearly adult education courses for Rhaeto-romance speakers and summer language courses for foreign speakers. These are supplemented by the “Scuntradas Rumantschas“ (encounter weeks) organized by the Lia Rumantscha. Of the 213 Grison communties, 67 school towns have a Rhaeto-romance elementary school. 58 communities have one or more preschools (total 80). In Chur, the Lia Rumantscha conducts an additional Rhaeto-romance kindergarten. The school language situation in Grison is highly complex and sometimes carries great regional and communal variations. Basically, all the communities of Grison in which Rhaeto-romance still held a majority in 1860 (traditional language area) have a Rhaeto-romance elementary school. From the fourth grade up, German is taught as a subject, and at the 7th grade (upper level), German is the teaching language. Rhaeto-romance is from then on only taught as a subject (2-3 hours per week). 10 communities of Grison (German-Rhaeto-romance language border communities) teach Rhaeto-romance as a subject from the 1st grade up. In the professional schools and middle schools, Rhaeto-romance is limited to a few hours per week. At the Grison women´s school, a language model of a special kind is being carried out: each student speaks her/his own language and is understood by the others. The goal: support of the living trilingualism of Grison. At the Grison teacher´s seminar, the future teachers of Rhaeto-romance mother tongue receive 4 weekly hours of instruction in their native language. Rhaeto-romance is also distributed indirectly in 2 lessons per week of the subjects “didactics of Rhaeto-romance“ and “didactics of biology,“ as well as in the form of a facultative foreign language. On the level of higher education, Rhaeto-romance holds one each teaching position at the universities of Zurich (literature) and Fribourg (linguistics). After a hesitant expansion, Rhaeto-romance radio now broadcasts abot 9 and a half hours per day. In the field of television, a 6-minute Rhaeto-romance information program is broadcast three times a week on the German and Rhaeto-romance Swiss channel (DRS). Once a week, Swiss television broadcasts a 25-minute magazine. In addition to these programs, eight times a year a 10-minute goodnight story is broadcast, and 4 times a year the Sunday Word, all in the Rhaeto-romance language. In the field of print media, four regional weekly newspapers, as well as countless periodicals, yearly calendars, yearbooks, and magazines are published. Rhaeto-romania has its roots in the agricultural areas of Grison. However, only 6% of the population work in the agricultural sector. Since the last war, influenced by a market boom, emigration from rural areas to the cities has increased. Today the most important branch of commerce is tourism (more than one half of the population´s income). In the Rhaeto-romance region, there are above all hockey and football (soccer) clubs, which are, however, more tied to the region and less to the ethnic group, even if the majority of the members are Rhaeto-romance speakers. The support of the Rhaeto-romance language and culture comes from state and cantonal subventions. The state promotes efforts for the sustenence and support of Rhaetoromance with 1,9 million Swiss Francs per year, of which 400,000 go to the canton of Grison.